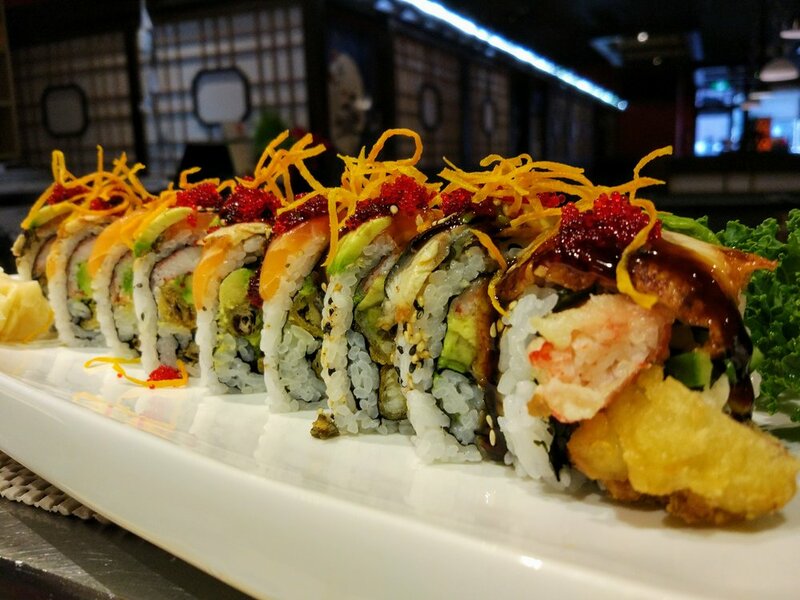 Located near Yorkmills and Leslie, Hamaru Sushi is a purveyor of delicious Japanese cuisine from the reputable Chef Jong-Ha Kim. Hamaru Sushi first opened in January 2014 and was first located at Yonge and Finch, North York, Toronto and now our second at Yorkmills and Leslie since March 2016, Over 40 years of experience and 27 Years in business in his beloved city Toronto, Chef Jong-Ha Kim has been serving quality interpretations of classic dishes for the modern eaters of this century. Chef Jong-Ha Kim has opened many well-known restaurants like Ichiban Sushi, Gonoe Sushi, and now Hamaru Sushi within the city and has built a very great reputation in delivering guests fresh high quality foods consistently time and time again without fail. He understands that nowadays a lot of restaurants tend to overcharge for what they quote "fresh and best sushi." Chef Jong-Ha Kim continuously beats them not only in price, but portion size and fresher quality of ingredients. Chef Jong-Ha Kim hopes that his food can represent the name "Hamaru" meaning addictive in Japanese that once you try his food you will always come back to him for your Japanese Cuisine cravings. Chef Kim hopes that when you swing by to see him, he will show you the true meaning of "Fresh and quality sushi" and send you home utterly in awe with a full stomach of amazing food and your wallet still intact.